Mobile performance platform HeadSpin has partnered with NetEase to help expand the company’s reach. The collaboration allows HeadSpin to utlise NetEase’s Airtest Project which is used for automation testing across games and apps. NetEase has been using the technology to improve performance on several of its games including Fantasy Westward Journey, A Chinese Odyssey, Onmyoji, Knives Out and Terminator 2: Judgment Day. Zynga, Jam City and Bandai Namco studios have all signed up to the platform to help their developers catch issues before users encounter them. 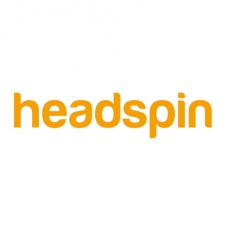 "Our gaming customers said that over 30 per cent of people left their game due to a bad experience, and they needed help to bring that number down," said HeadSpin founder and CEO Manish Lachwani. "With the HeadSpin platform, mobile gaming developers now have the tools they need to ensure they provide outstanding customers experiences, so players stay fully invested in their games." HeadSpin recently acquired NimbleDroid to helps the platform better deal with user environments, device fragmentation and different network characteristics.